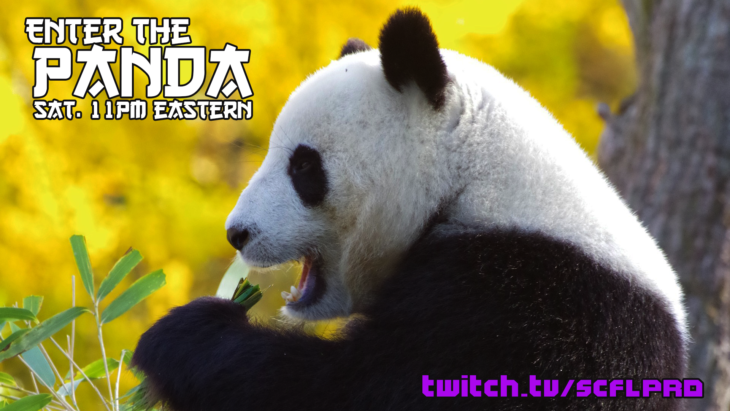 On a special night and time — Saturday, February 2nd at 11pm eastern — SCFL returns with ENTER THE PANDA. After the shocking results from last week, we have a new SCFL Pro World Championship holder and it’s… The Great Lopkin (Xylophonist Bianchi)!?! We head into this week with more questions than answers, knowing that Wim Nijman will be taking advantage of his refereeing a tournament and will get his world title shot against Xylophonist Bianchi. Of course, there are questions that linger after last week’s show, like did Discussion Davis actually tap out to The Great Lopkin’s clutch, is Wim really a bad ref, or did Wim have an ulterior motive? We’ll find out more this week as Wim takes on Lopkin for the title. 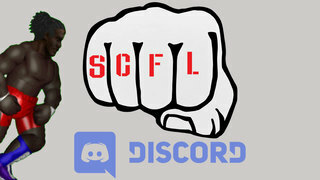 Plus, to celebrate the upcoming Super Bowl, we’ll see a special, second scramble match, this time with the competitor’s vying for a shot at Technology Cooper and his SCFL Pro US Championship mug.